By Corina Mackay in Social Media. Updated on August 3, 2018 . Whether you prefer a weekly movie night or to snuggle up with a good book, there are plenty of entertainment-based social networks out there that you can definitely belong to. Keep track of your favorite shows or music, your collection of books or trivia, and even get recommendations of new and upcoming entertainment choices. How often do you get recommendations for movies or TV shows from your friends, only to forget them by the time you visit the DVD store? These apps will help you keep track of what you’ve seen and offer recommendations right when you need them. Working as a movie recommendation engine that learns about your tastes, Foundd requires some time to set up. 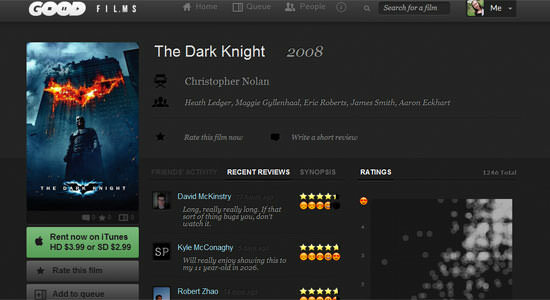 After rating a bunch of films, you’ll be able to see a tailored "Watch List" of movies that you might like. 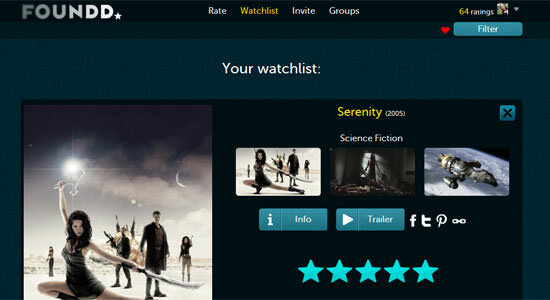 You can also create a group list with up to five people on it, and Foundd will suggest films that you will all enjoy. If you’re a regular movie-night person, or you have trouble agreeing on a movie to see with friends, this is a good way to pick your next flick. Goodfilms is a movie recommendation engine built by friends of Attendly, which takes an original approach to the ratings system. Each film has two ratings: a ‘critical’ rating out of five stars, and a ‘re-watchability’ rating with five happy faces. For each film, you can view the ratings on a grid, showing both the likelihood that people would watch it again and the actual quality of the film. This makes choosing a movie to watch a very different process, as you can narrow it down depending on whether you’re after a feel-good romp or a high-brow doco. 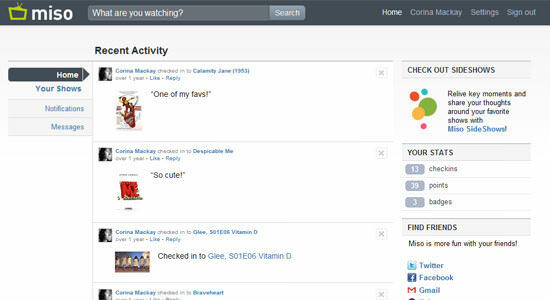 Miso started out as a social network site for movie and tv-show lovers. 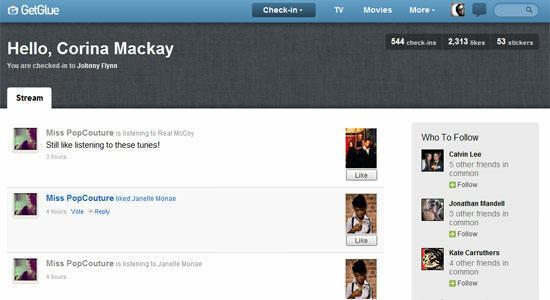 You "check-in" to share with your friends the TV shows that you are watching. LIke or comment on particular episodes, and keep track of your showreels. A new interesting feature that has been added is SideShow. If you love to find and share trivia about your favorite shows then this is the best invention ever. When you check-in and watch your favorite show, these synchronized bits of trivia will show up on your phone so as to not interrupt your TV viewing. If you’re a bookworm, you’ll probably enjoy this highly-focused network. 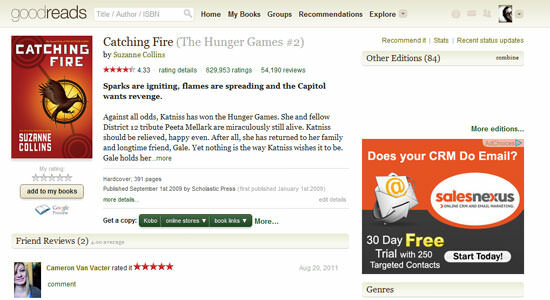 Goodreads is the king of social reading. You can share your progress as you work through a book, create a to-read list, and add ratings and reviews to books you’ve read. 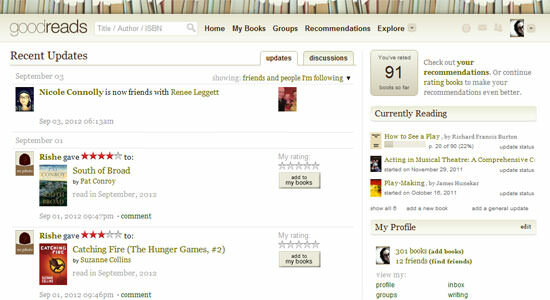 Goodreads is a great place to connect with other readers with reading groups, challenges, quotes and book trivia. You can also keep track of your own book collection by organizing books you’ve read, or want to read, into different collections, or ‘shelves’. Mingle with fellow book lovers and discuss your favorite books with fellow fans. For those who love getting music suggestions and keeping track of their playlists, Last.fm is da’ bomb. 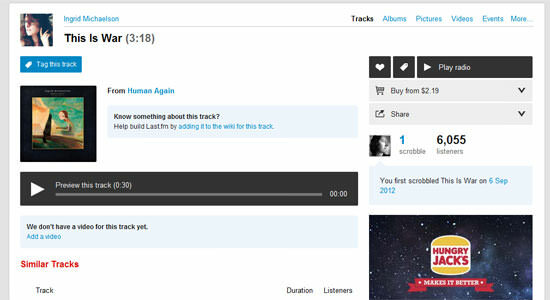 With it’s integrated scrobbling feature, Last.fm can pull in details on the music you listen to without any ongoing effort. If you like looking back at your listening habits, this is a great way to do it. You can also get suggestions for new music, view your own listening data in a chart and connect with other people that have similar tastes. If you’re looking for more engagement around your music, Blaster.fm takes your Last.fm data and lets you share, listen to and discuss songs. 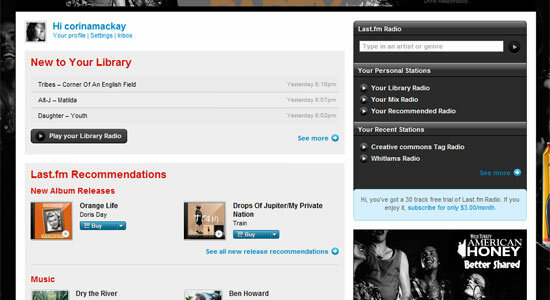 You can also add the Last.fm app to your Spotify account and integrate the two services. Fans of mixtapes will love this music network that lets you create and share playlists of eight or more tracks. You can find tracks already available on the site or upload your own to create the perfect selection, with a description, title and cover image. 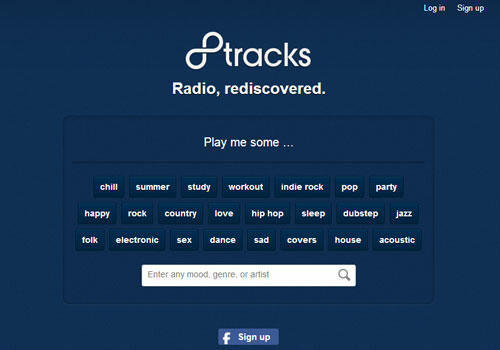 Listeners can play, like and comment on playlists, as well as search by tags, follow other users and save their favorite tracks. If you’re more fond of discovering new albums or artists than curated hitlists, you might want to give Hype Machine a go. 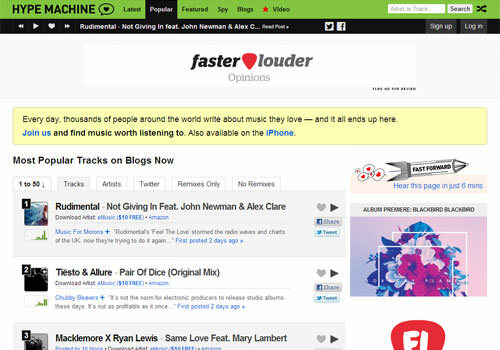 This site crawls music blogs across the Web to pull in tracks for you to listen to, save and share. You can search for an artist or genre, or just browse all the tracks from a particular blog. You can also follow friends, specific artists or particular blogs that you like. If you’re a fan of checking in and rating entertainment, you might want one of these all-in-one style apps. 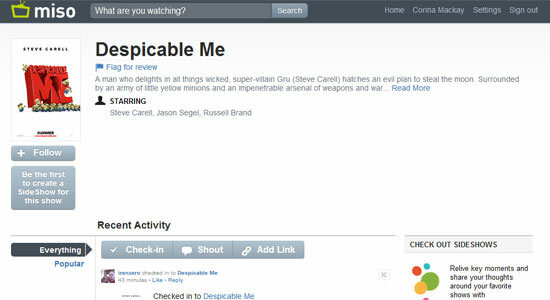 Although GetGlue focuses heavily on movies and TV, you can also rate and check in to sports, books and even topics. Each check-in and comment pushes you higher up the leaderboard until you achieve the coveted position of Guru, giving you the ability to edit item details and qualify for exclusive offers. After earning enough virtual ‘stickers’ by engaging with various items, you can have the physical equivalents of those stickers mailed to you. You can also get access to exclusive offers and discounts on various items, like tv show merchandise. If you’re a fan of frictionless sharing, you can also try Last2Glue, which checks you in (on GetGlue) to any artist you play several times in a short period on your Last.fm account. With a recent revamp and backing from Ellen Degeneres and Justin Bieber, Stamped is going all out on its all-in-one rating experience. The app lets you rate books, music, films, places and apps from your phone. 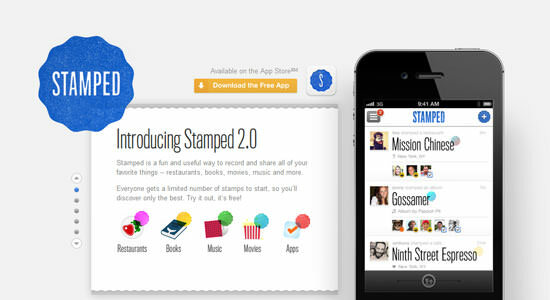 Rather than offer standard ratings, Stamped uses more of a black-and-white "like or don’t like" system. Each stamp that you have is symbolic of a 5-star rating. A limited number of stamps for each user means you’ll need to choose carefully which item gets your stamp. 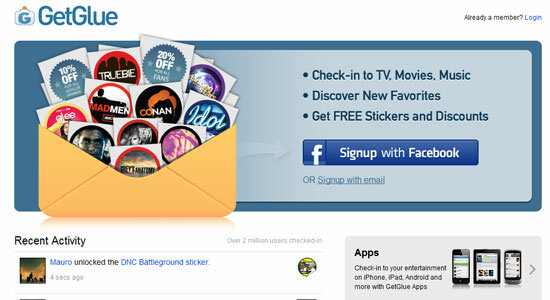 Or you can just interact with other users to earn more stamps. The new version of Stamped also offers integration with Spotify, Rdio and Netflix for your ‘to do’ items. With so many of these entertainment-based networks, I’ve undoubtedly missed some good ones. What are your favorites? Editor’s note: This post is written by Corina Mackay for Hongkiat.com. Corina is an inbound marketer for Attendly, a white label ticketing and event registration startup.